The comet was nice view thru binoculars. It looked large fuzzy balloon. But I wonder how I can describe photographically. So first I was more curious how two results showed up through different filters. I compared between HEUIBII and LPS-V4. HEUIBII was needed as UV/IR blocker since my camera doesn’t block. LPS-V4 was usually called “nebula filter”. But it was also known as designed for passing comet’s C2 spectrum as well while darkens the background. Here is the result of each single shot. I tried to set both background color and brightness similar. And only applied Levels and Curves by similar ways. No dark and flat applied. All same as the above except ISO. ISO6400. Above two images show up quite differently. These are more than what I anticipated. Believe or not, both image scales are identical. Not cropped at all. I didn’t want to extend the exposure time. So I increased ISO thru LPS-V4 instead. 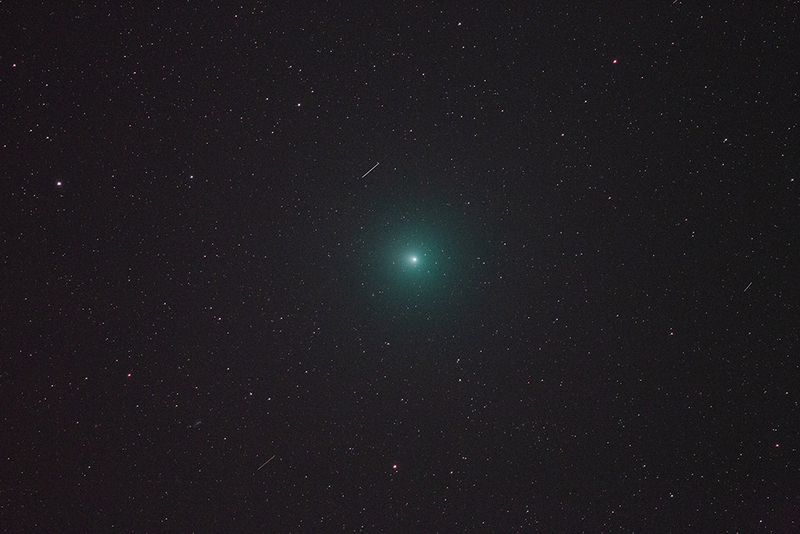 The comet gas is more spread out and greenish. Meanwhile HEUIBII is smaller and more bluish. I could increase ISO with HEUIBII. But I wonder how much effective. The background should be just brighter too. LPS-V4 allows to increase ISO while keeping background level down. Probably this should be more evident if the sky is more light polluted or the comet is close to the horizon (usually so). As one of LPS-V4 users – Klaus Brasch did, LPS-V4 should be very effective for the comets. Meanwhile I didn’t expect the visual was more impressive than imaging. So I didn’t prepare two LPS-V4s for binoculars. 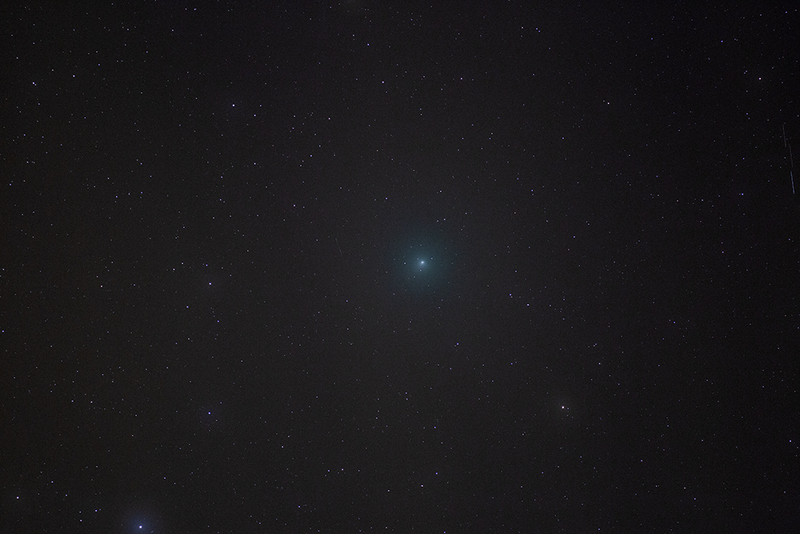 Probably I could see higher contrast comet view. I will try when I have the another chance, this weekend? I also enjoyed with Hinode Bino too. This was first time I took it to the dark site. 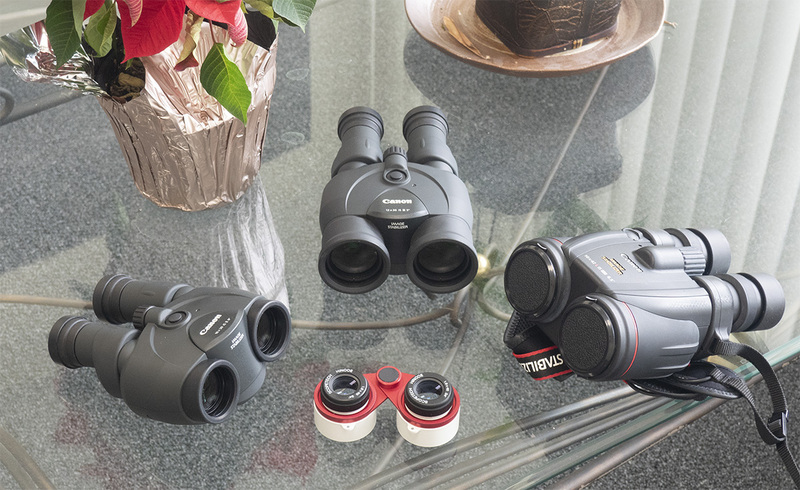 Following are my favorite Binos – Hinode and Canon 3 brothers. Canon 8x42L. This is so far the best binocular for me optically and mechanically. Image-stabilizer performs very well. Yes, expensive. But for me it’s quite reasonable value for life-time enjoyment. Inner circle is 24-degree while outer is 30. To Hinode users, try to see Big Dipper if you don’t look at yet. This is the must-see target through Hinode bino. I bet you will be overwhelmed at its view. Enjoy with Hinode!! ~ by tedishikawa on December 10, 2018.